Me and my friend Daz with Alan Martin! he was such a dude and gave us lots of free comics and other random signed goodies. I look so scared! I was a ickle bit but not as much as my face is portraying. 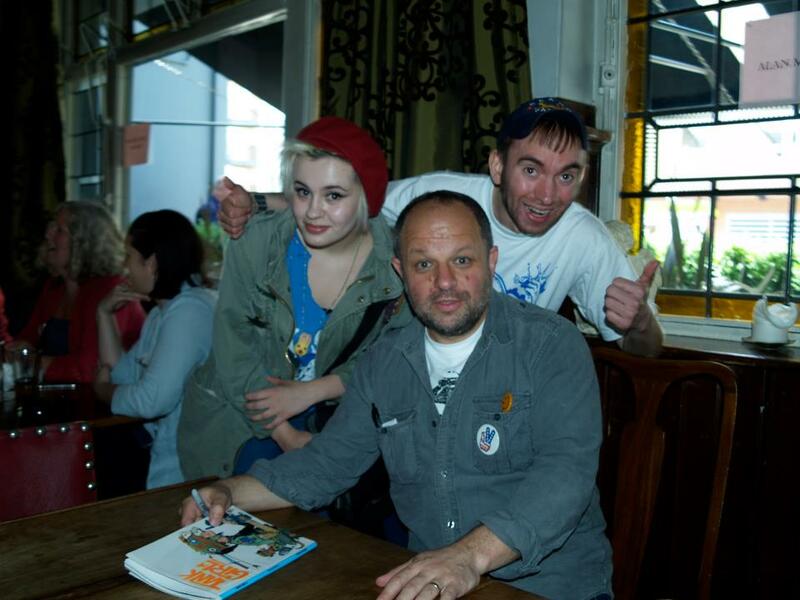 I majorly wish I didn't wimp out of meeting Jamie Hewlett when I had the chance, then I would have met the whole of the original tank girl crew, but I have this feeling I'll get another chance to meet him in the future.